Whether it's an in-store deal, a hand cut coupon, or a cash back or coupon app, there are PLENTY of ways to save money on everyday household items, especially groceries. But some people go out of their way just to get that coupon cashed in and get a deal, without actually asking themselves if they need the item or are actually getting it for the cheapest price possible. I live in Pennsylvania and the stores near me aren't like the ones on the Extreme Couponing shows. They don't all let you stack multiple coupons and use more than 1 per transaction. So depending on where you shop, live, and what you consume, buying an item with a coupon may still cost you more than you COULD pay. 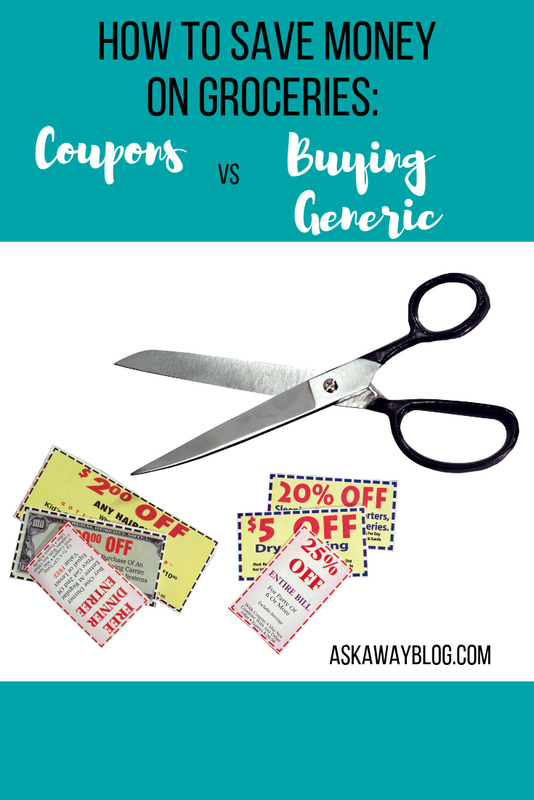 Let's take a look at some scenarios to see if you're really saving money with coupons. Scenario #1: You have a coupon/rebate for $1.00 off a $2.99 Name Brand can of pasta sauce. The generic brand (check the label to ensure it's identical ingredients) costs only $1.50. Breakdown: With the coupon you're only saving $1. But if you buy generic, you're only spending $1.50 so not only is it .40 cents cheaper than the sale price on the Name Brand, but the generic can is $1.49 cheaper than the regular price of the name brand. Save More Money With: Generic Brand. Scenario #2: You have 1 manufacturer coupon for $1 off a box of cereal. There is also an in-store weekly special where that cereal which is normally $3.99 is only $2.99! The generic brand is $2.50. Breakdown: With the coupon and the special you get your cereal for $1.99. If you buy generic there's no coupon and no in store special. Save More Money With: Coupon. Scenario #3: Your hair is finally getting healthier after years of damage, and the only thing that's been helping you is a brand name hair conditioner that costs $4.99. You have a coupon for $1.00 off. The closest thing to your current conditioner is a generic conditioner but the ingredients aren't as high quality. Breakdown: So because this is something that affects your health and looks and in the long run can save you money with less salon visits, less salon treatments, and save you energy and hassle with less stress over a bad hair day, it's worth it to get your conditioner for $3.99 after using the coupon. If you don't have issues with your hair it may be different, but I totally agree with people that there are some brand names we just love, and that's totally fine as long as you can afford it. Scenario #4: You are browsing the ibotta app where you get instant cash back on certain product purchases, and you see that you can get .50 cents back if you purchase fruit snacks from your favorite store. You don't normally eat fruit snacks and you're trying to watch your weight, but you find the .50 cent rebate appealing. Breakdown: First of all, you don't NEED the fruit snacks. It's also JUST .50 cents. You're literally shopping the ibotta app before you actually even shop in the store. That's a good way to spend money on stuff you don't need just to get SOME money back. You still had to spend money in the first place. And you don't want to buy generic because you don't NEED to be eating fruit snacks! Save More Money With: Avoid Purchase Altogether. Scenario #5: You see that you can get tooth paste for .50 cents off the $1.50 tubes as long as you buy 3 of them. But you're only getting .50 cents off your total purchase price. The generic toothpaste is .99 cents. Breakdown: I hate these types of coupons because they're pointless to me unless I already needed 3 tubes of tooth paste anyways AND for some reason I don't want the generic brand. Basically you'll be paying $4.50 and only getting .50 cents off. So you just spent $4.00 on 3 name brand tubes of tooth paste when generic would have cost you $2.97 for all 3. 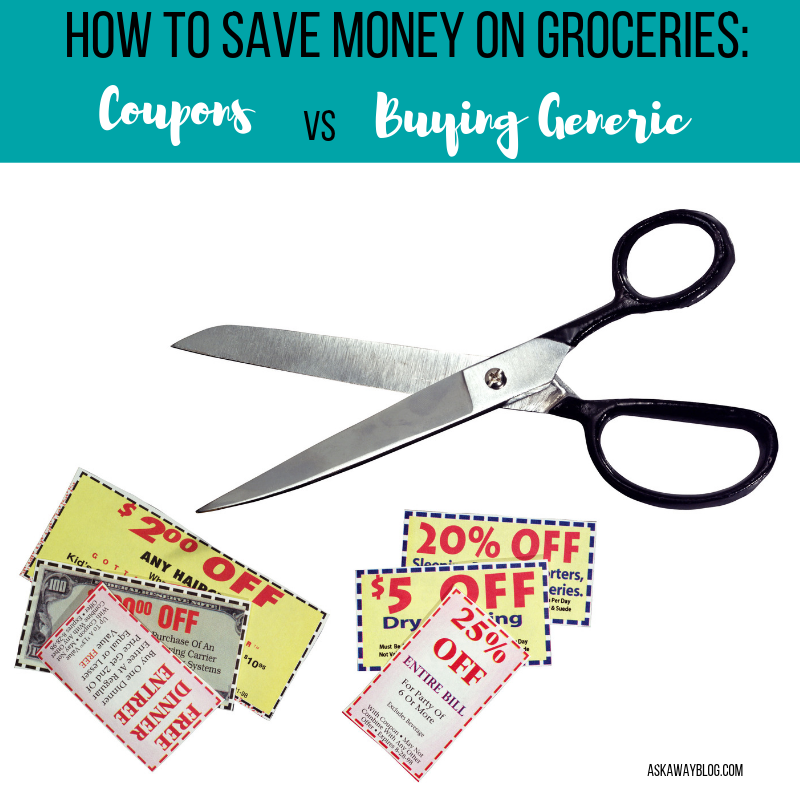 Save More Money With: Generic. Scenario #6: There is a special at your local drug store where you can stack a manufacturers coupon and your reward card savings/in store special to get 2 bottles of your daily vitamin and 1 free! You've had issues with generic brands of that vitamin. Breakdown: Since you will likely use the vitamins EVERY DAY, it's worth it to stock up. And you're getting discounts anyways. Hopefully this is going to get you to stop and think about all of your purchases next time you're making your grocery list or picking things up at the drugstore. Do you already look into the "cheapest overall option" when you shop? You also need to pay attention to the little label under the item which gives you the per ounce pricing - I always make sure that whatever I'm getting has the lowest per oz pricing, whether it be the larger size that costs more initially or the sale/coupon item. I also shop around when I'm buying grocery's.